I have become aware of the recent publication in Genome Research of a study on the Atacama skeleton that has now received world-wide media attention . 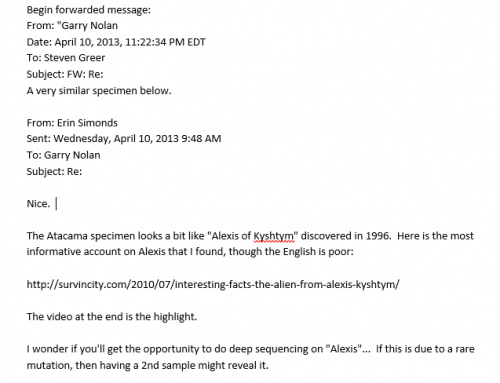 For the record neither I nor anyone on my team have ever claimed the Atacama skeleton was “alien”, but only highly unusual and needed competent scientific investigation . Alas, the study recently published in Genome Research makes a mockery of science. You should know that as Principle Investigator (PI) on this case that I was neither consulted nor given an opportunity to review Garry Nolan’s et al findings prior to publication. This is unfortunate as any qualified PhD would have found the paper deeply flawed and incompetent. 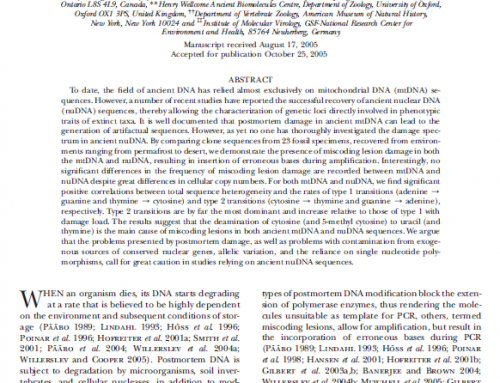 Twelve scientists have looked into this paper and have concluded it is “junk science” at it’s worst. 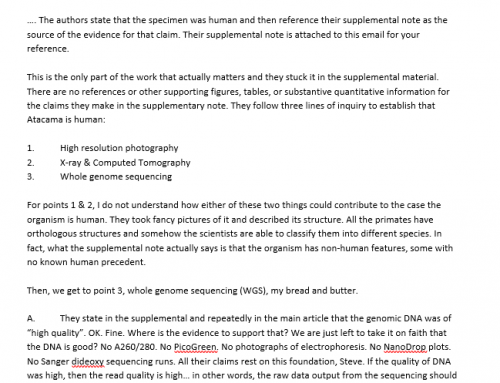 Two have written comments after studying the data. 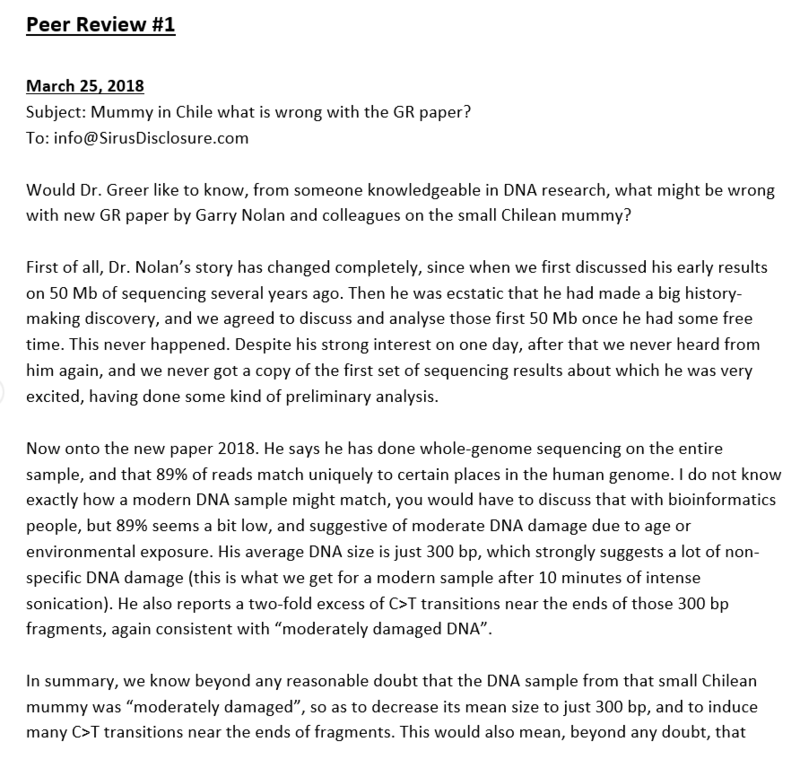 The paper has now been peer reviewed by others and a number of major concerns need to be addressed (see their remarks, attached). 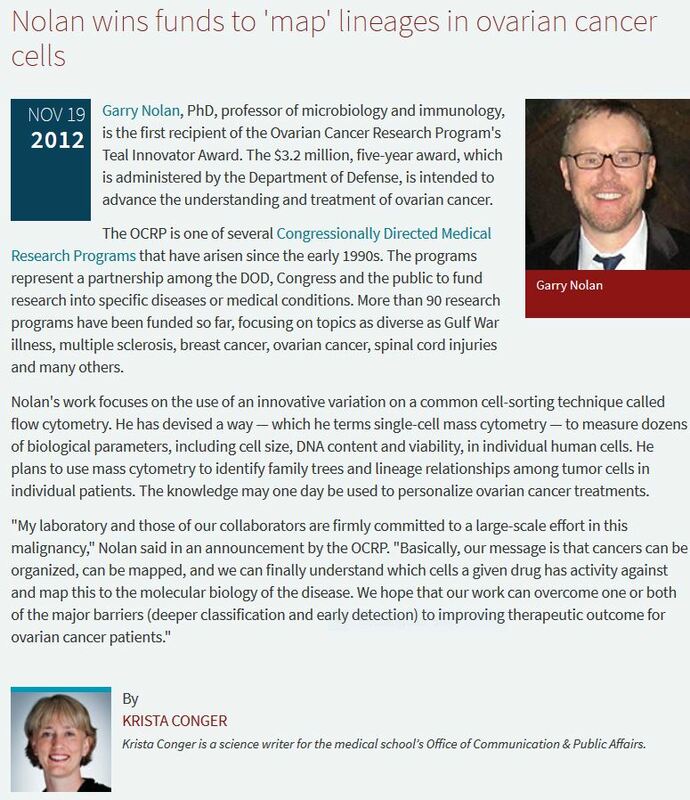 I have concerns that, having spent tens of thousands of dollars obtaining the sample at our expense , Stanford, UCSF and Genome Research Journal have published a false, defaming and inaccurate paper that does substantial harm to the cause of science and to me personally . Aside from the legal and ethical question of such a paper being published and garnishing world-wide media coverage without my knowledge or advice, there is the damage to the underlying purpose: to discover what the Atacama skeleton is. The bone samples provided were done so with assurances from Nolan that a thorough and objective study would be made. However, all of the PhD geneticists that have delved into his data and methodology assure me it was done at best incompetently and at worst (and this is their belief) fraudulently. The lack of controls, the methods used and so forth were so “blatantly incompetent ” that their only conclusion is that the study was corrupted from the beginning to obtain a pre-determined conclusion. This is not science, it is politics- or something else. Specifically, the study had no controls, was not a reference-free DNA study, data was cherry picked and key data left out (e.g. 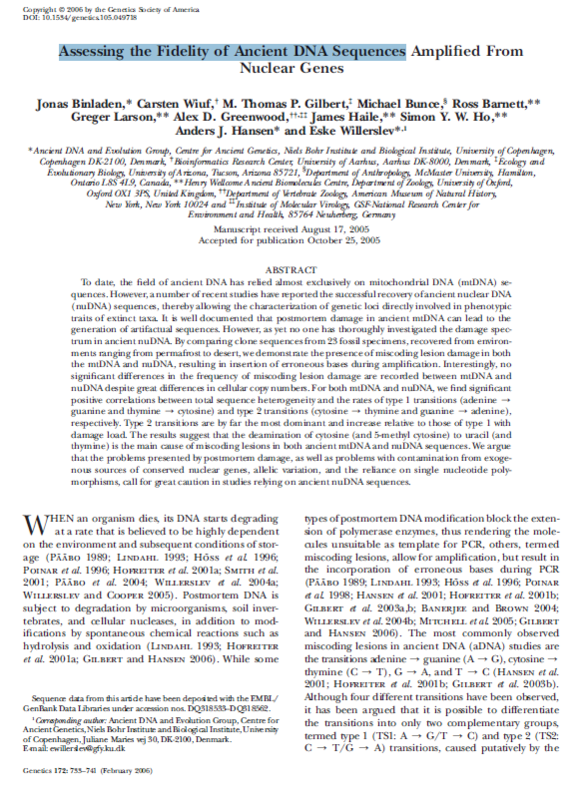 : 360,000 triploid alleles ) and was done with antiquated technology and methodology. 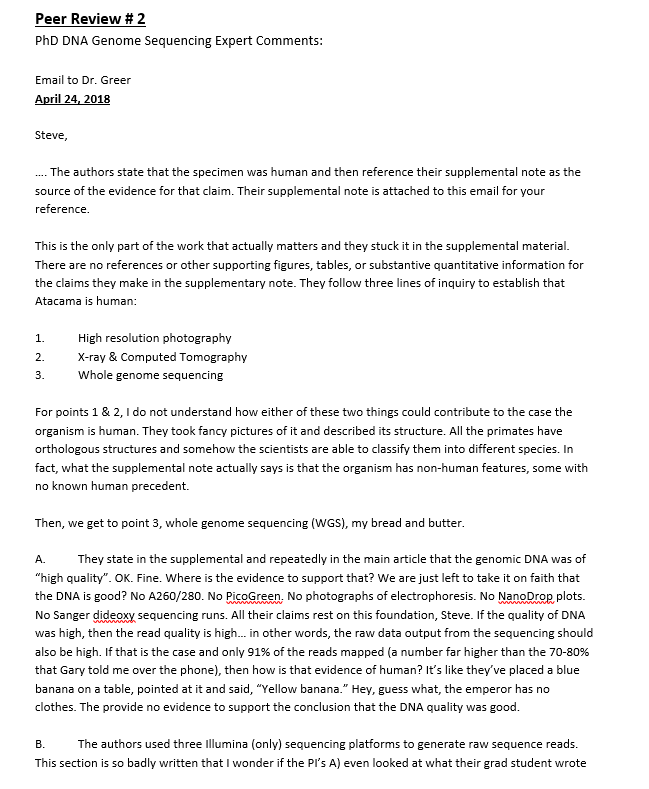 I have been assured that any competent peer-review process would have given the paper a 0 score and returned it. 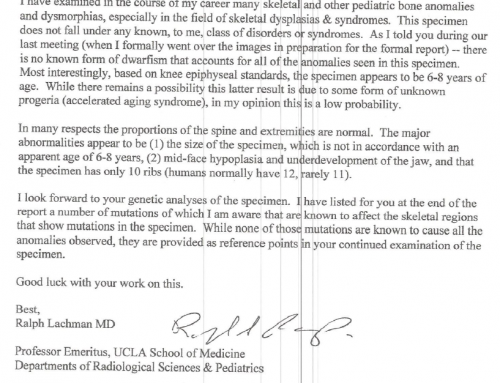 The assertion that the skeleton is a deformed fetus (allegedly female ) is unfounded by the data and the clinical medical findings (see Dr. Lachman’s report, attached). That there were 7 de novo mutations resulting in the seen biological specimen is spurious and without scientific foundation. Others have concluded that had there been such widespread genetic damage that the embryo would never have been able to divide and develop further. 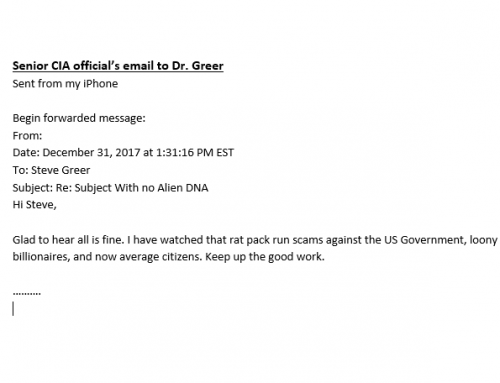 Two PhD scientists with deep knowledge and expertise in DNA sequencing have assured me the study was faked from the very beginning and that the report could not have been properly peer-reviewed. Both have concluded that this is a case of massive academic corruption and fraud. 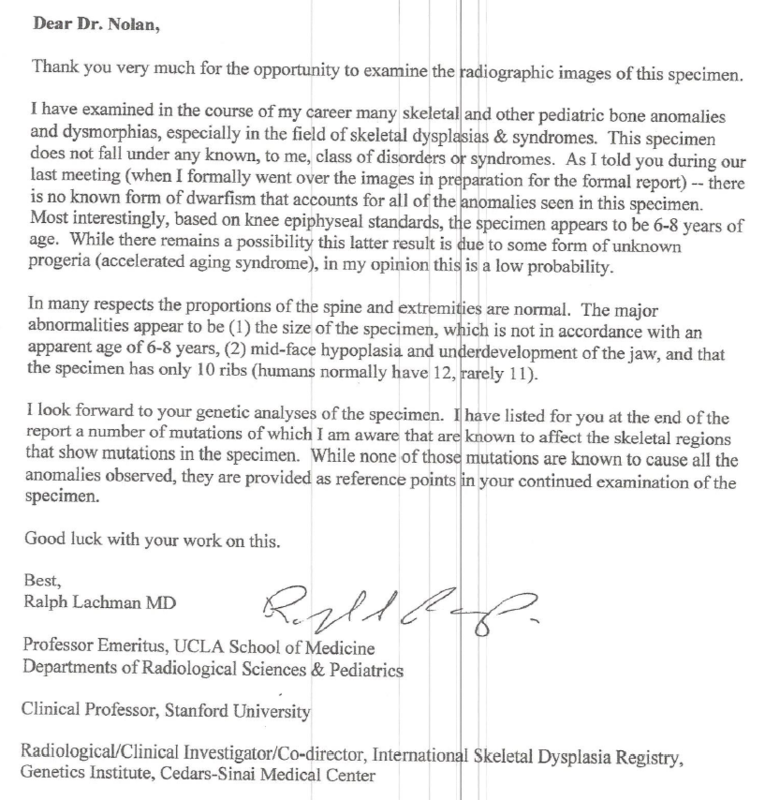 I am an MD and not a PhD geneticist however I can attest that even the statement that we told Nolan the specimen was “thousands” of years old is false. Clinically and archeologically we knew it was from early in the 20th century or late 19th century. This was reported to Nolan specifically. He asserts it is 40 years old- although there is no evidence for this either. The strata of ruins in which the skeleton was found is from the late 1900s-1930 or so. There were also studies showing the specimen was around 6 years of age – a finding nullified by the fanciful idea that it prematurely aged in utero (progeria). 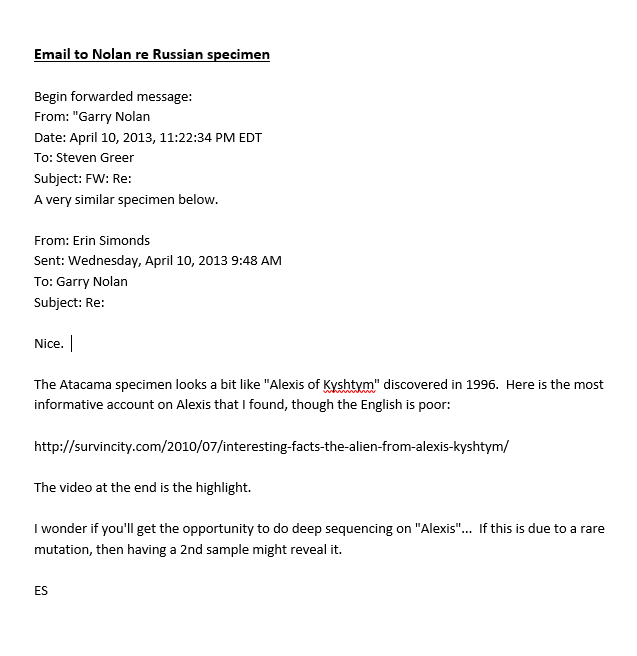 Nolan’s own research assistant found a similar creature from 1996 in Russia (see attached email and Russian photos) also found in an area of alleged UFO events . Nolan asserted to me that if there were 2 of these unusual creatures that the likelihood the Atacama one was a deformed human was nil. Nolan was fully aware of these clinical and historical facts prior to completing this study and report. Two separate people , the director of the film Sirius and a member of my team who met privately with Tristan Harris, have stated that Nolan was induced to say the specimen was a deformed human by federal agents or someone connected to the US Government and that is why he reached these spurious ‘scientific’ conclusions. IF true, this constitutes fraud and scientific corruption at it’s worst. We need a full state, federal and academic investigation into this case to determine how this study came to these conclusions, whether fraud was committed , if federal or state funds were used, and why the study published in an obscure journal gained such media attention. 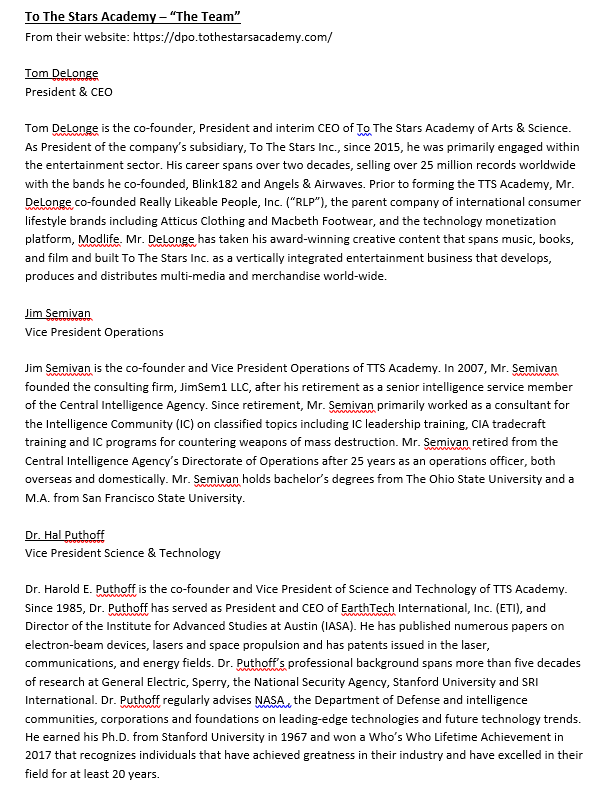 Recently, Nolan has become associated with a group called The To The Stars Academy (TTSA) headed up by a former rock star. 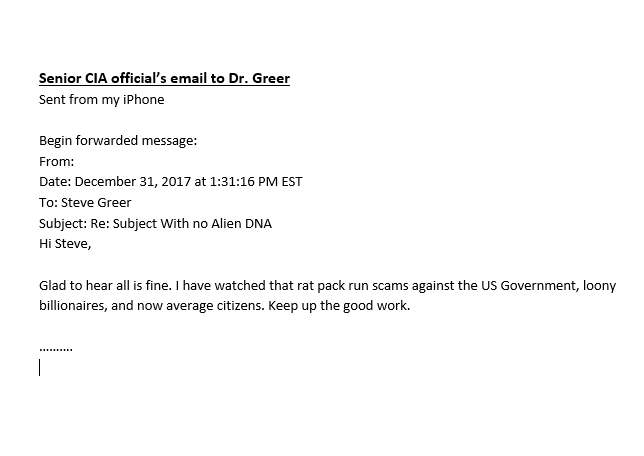 This group (see attached article) is packed with former (?current) Pentagon and CIA operatives, well-known for running scams on the US Government and American people (see email for senior CIA official written to me, attached). Was it this group or their assets that arranged for global media coverage of Nolan’s findings? All of these issues need a full and impartial investigation by your academic conduct committees and offices that handle legal and ethical problems as soon as possible . 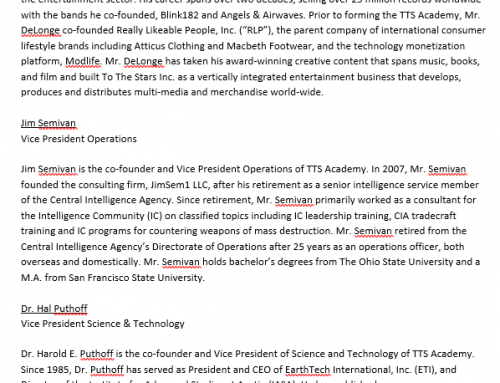 >A full report on who funded the Nolan study and if any state or federal funds, personnel , equipment etc. were involved . 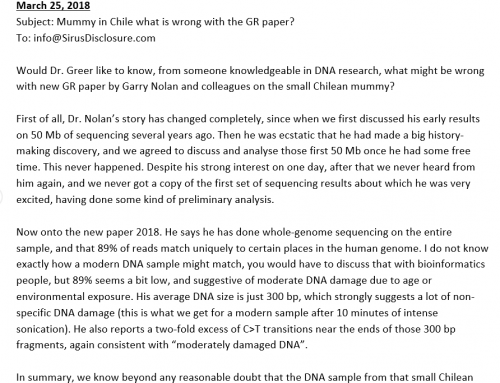 I should also note that 2 renowned PhD genetic experts have spoken to me and stated emphatically that they offered their help to Nolan to do the study properly and that he refused their assistance. 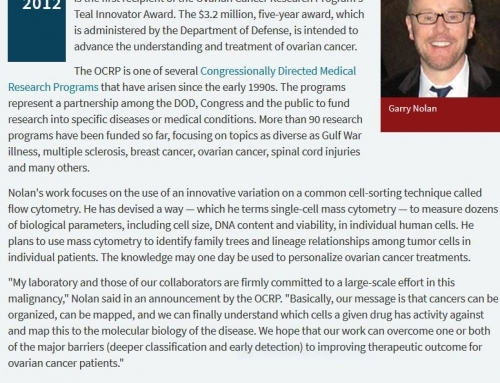 One of these scientists at the time headed up a company that did state-of-the-art reference-free DNA sequencing and offered his company’s services to Nolan. He refused . Both of these scientists have assured me that the study must have been corrupted from the beginning since incompetence at this level from Stanford and UCSF is simply not plausible. I do not know, but we must get to the bottom of what happen, how and why. Ultimately, we need to address what, exactly, is the Atacama skeleton? This Nolan study muddies the water, and brings no scientific clarity to the question, so we are back where we started when I first saw the specimen in 2009. Unfortunately, it is unlikely we will obtain another sample of the bone marrow DNA since Nolan’s behavior has so disgusted the owner of the specimen he wishes no further involvement – and who can blame him? This fiasco has damaged my relationship with this person and others in the research community irreparably. If this skeleton represents a heretofore unknown species , we have lost a great deal to the advancement of science and human knowledge. How might this be now corrected? Please respond to these concerns at your earliest convenience.